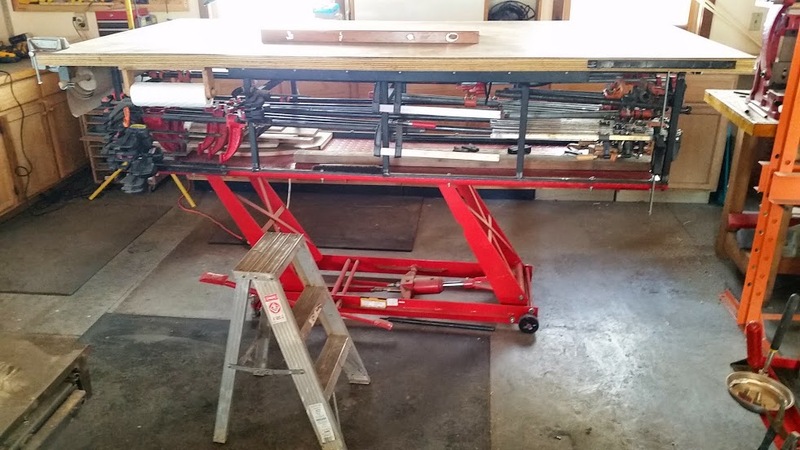 This project converts a hydraulic motorcycle lift into a work table. 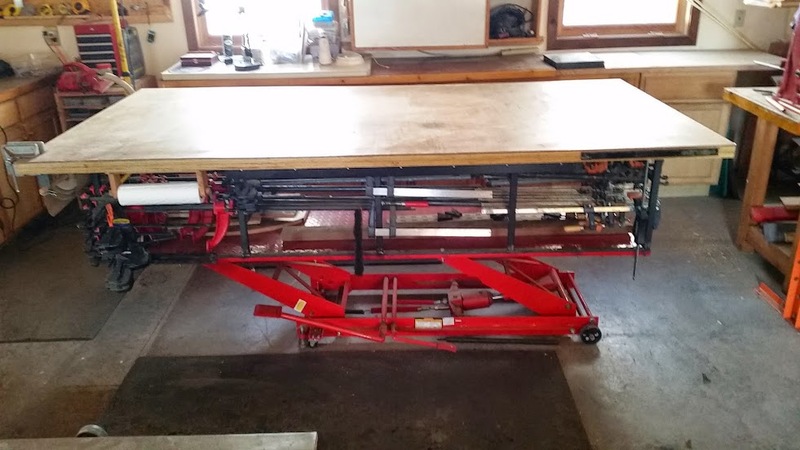 When not working on a motorcycle, this lift took up valuable floor space in the studio and I was constantly storing scraps and paint containers on it just because it was an available flat surface. 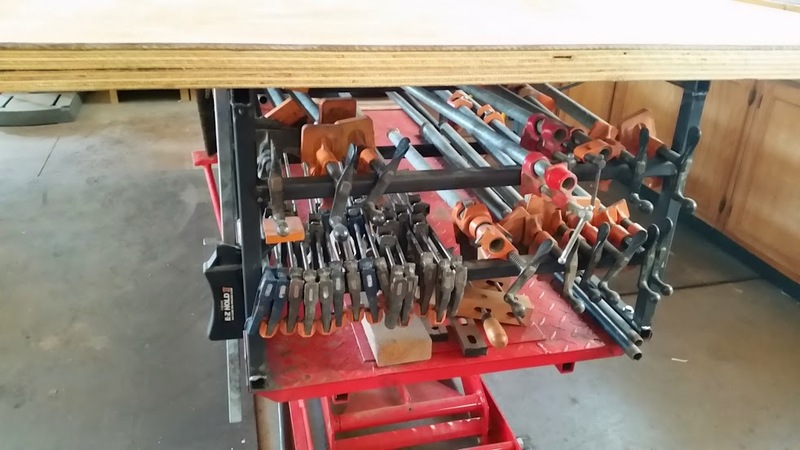 After walked around it a thousand times, I decided to retrofit i, e. re-purpose it into a work table. 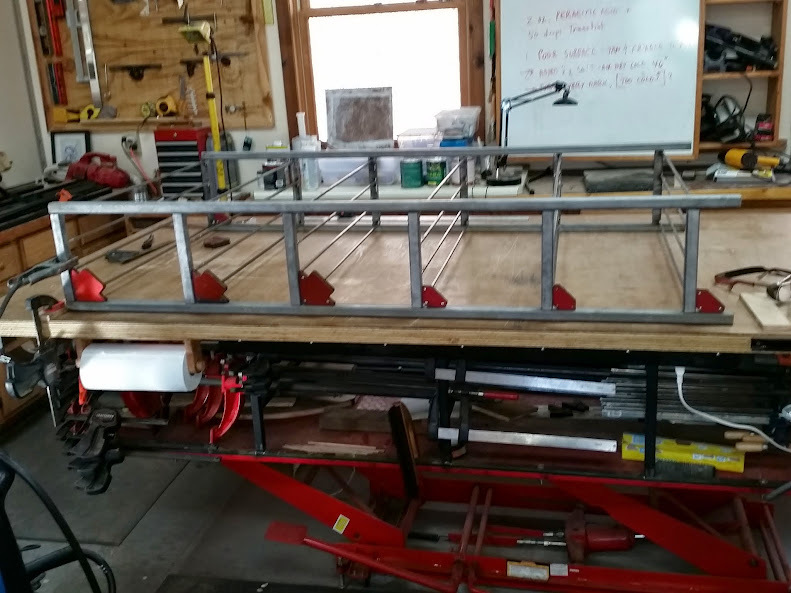 I had already done this with small hydraulic cart for metal work so the concept was already developed. (I will post that project soon). The table will hold 1,000 pounds. 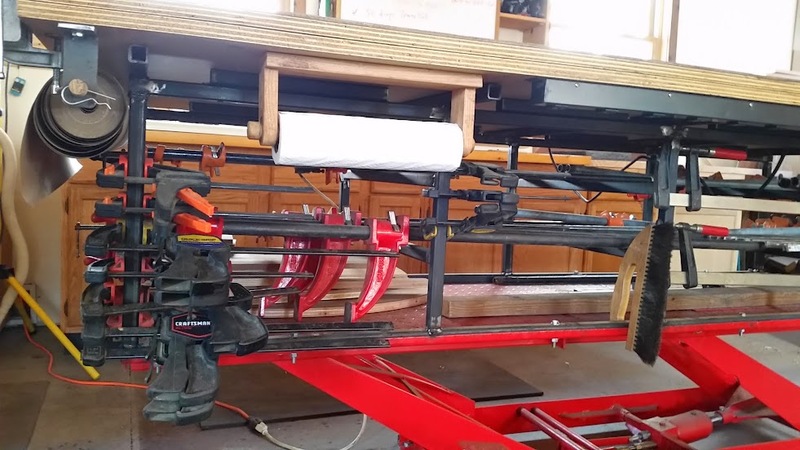 The top boards weighed 130"
The clamps weighed ~120 pounds. The table is very stable but will wobble if excessive weight is placed outboard. (I only experienced this if I put my weight on it.) I have been using it for a few weeks and it works beautifully. 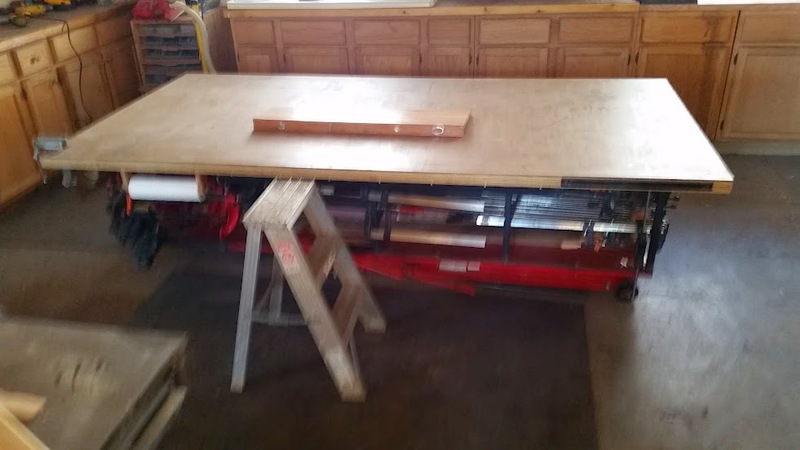 I recently constructed a jewelry bench and the researched height was recommended to be 36 to 39 inches. I thought that was high but build the bench at 36". It is surprisingly stress-free on your neck when the work is high. I use this principle on the work table and it makes a significant difference. Just pump up the height or lower it with foot levers. I also attached electrical strips on each side so juice is always available. On one end I put a roll of craft paper for as drawing or gluing. I also write directly on the surface with chalk, which wipes off with a damp rag. I am contemplating inlaying a 48" aluminum ruler. Here are some photos of the project. The photos are poor quality and need to be reshot. Sorry. 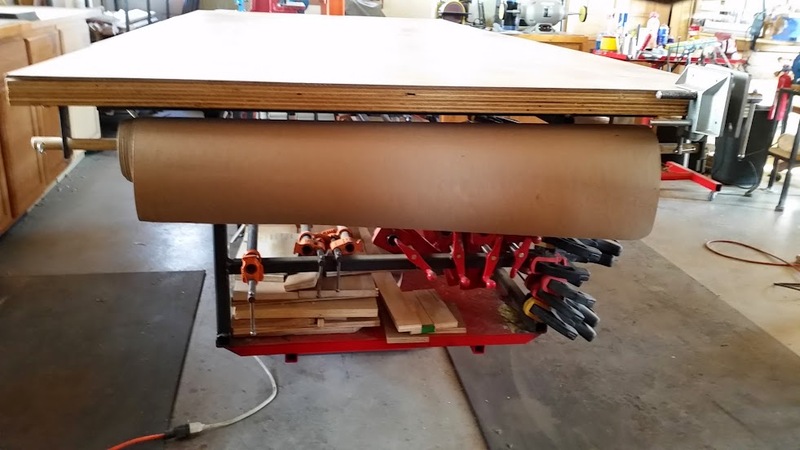 This is the table I started with: A Harbor-Freight Motorcycle lift $250~300 with coupons. Table at low point. The standards raise top 16" from the base. Ladder is about 2 feet. Using the table to weld a shelf. 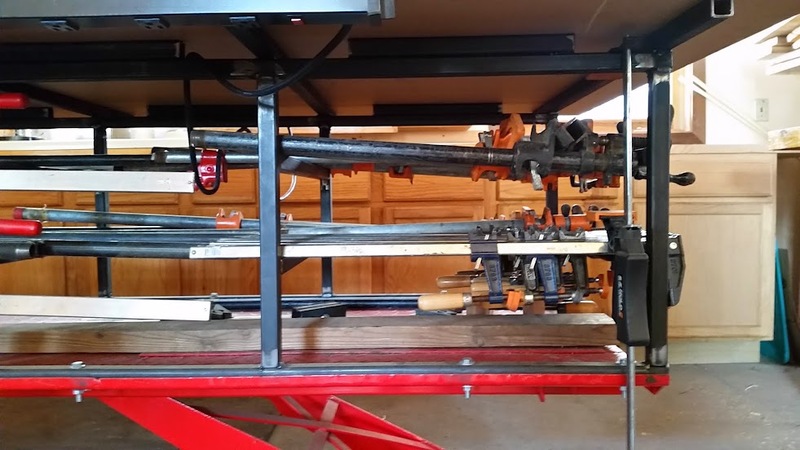 Close up of clamp storage and electrical strip which is 48" long. Note craft paper and paper towel holders. 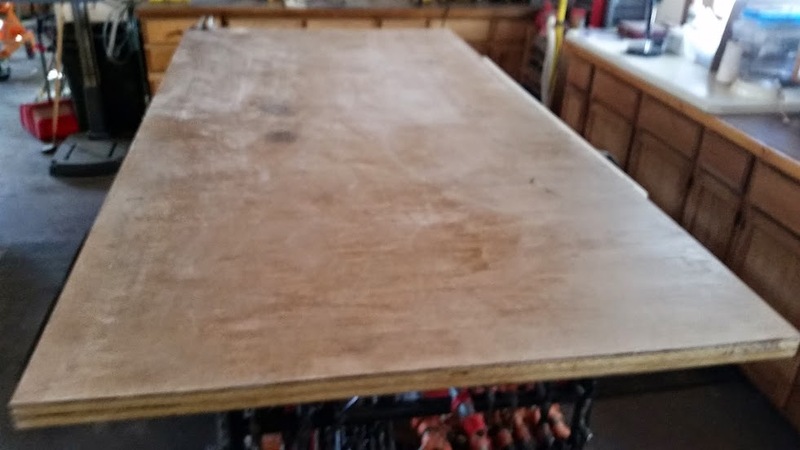 4' x 8' top surface.